An Iranian couple's holiday to Bali ended temporarily in India when a woman forced the Doha-Bali flight of Qatar Airways to make an unscheduled landing at the Chennai airport. The woman had unlocked her husband’s phone by putting his finger on its scanner, after which she realised that he was cheating on her. She later started misbehaving with the crew members who tried to calm her down, the report added. The confusion compelled the pilots to land the plane mid-way in Chennai. 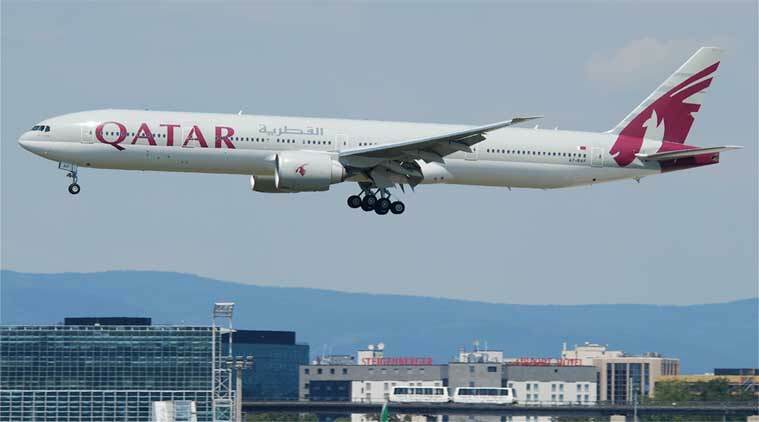 Qatar Airways' Doha-Bali nonstop flight is almost 10 hours long while Chennai is midway. The couple was offloaded at the airport. The family spent the day at Chennai airport and was sent to Kuala Lumpur by a Batik Air flight. The airline in its statement did not comment on the matter, stating the actions were taken with respect towards passenger safety. This incident comes a week after a Delhi-bound Jet Airways flight was diverted to the airport in Ahmedabad after a note was found on board threatening the presence of hijackers and explosives on the aircraft. The person responsible for the letter has been detained by the city police. Inspection by the bomb disposal squad found no explosive in the plane and the note turned out to be a hoax. The note, allegedly placed by Mumbai-based Gujarati jeweller Birju Salla, demanded that the pilot not land at Delhi and instead should fly the aircraft to Pakistan-occupied-Kashmir (PoK), stating that there were 12 hijackers and a bomb in the cargo area.